I had been a Mineralize Skinfinish girl for a long time. That is until the Mac Studio Sculpt Defining Powders were released last September and gave them a run for their money. I love this powder for its sheer and traceless application. It will set your foundation adding just a bit of coverage and luminosity to it. 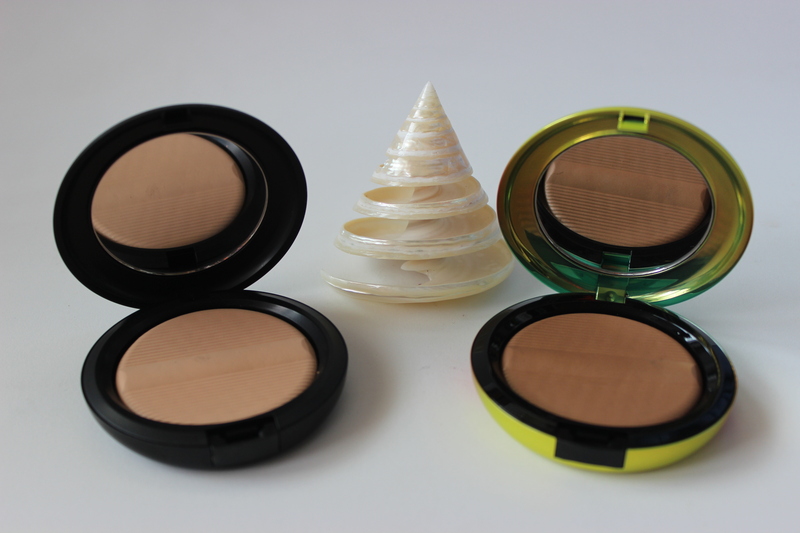 It is more subtle than the Mineralize Skinfinish powders so it gives you more options when doing your face. In a way, the Studio Sculpt powders remind me of the Extra Dimension less sparkly powders: they are almost gel like pressed powders and not like your traditional dusty powder at all. 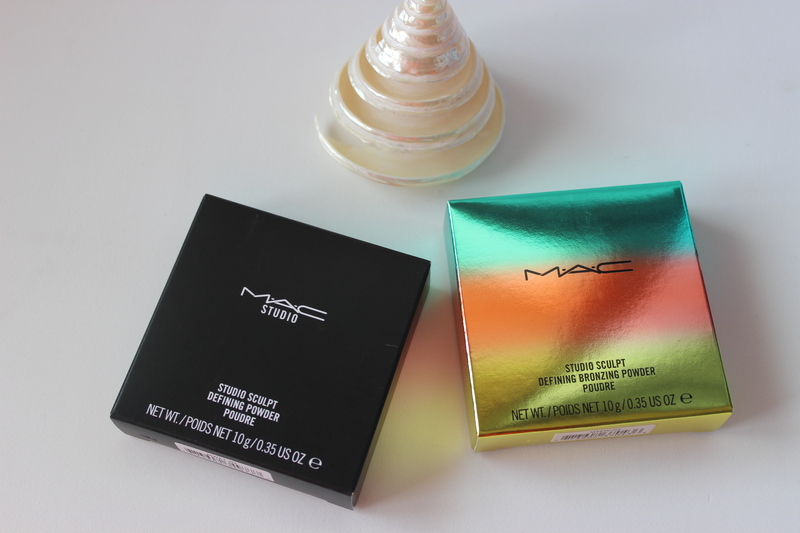 So, seeing as my light plus was just the tiniest bit light on me right now and that Mac released two bronzers in this formula in their Wash and Dry collection, a trip to my Mac store was in order! Above you can see the powder in Medium and the Bronzer in Delicates. The Bronzer of course came in the gorgeous packaging of the Wash and Dry collection, the feel of which is reminiscent of the Alluring Aquatics packaging. I bought the Studio Sculpt Defining Powder in Medium because my Light Plus was looking just the tiniest bit too light at the moment. This one matches better my complexion at the moment so it was just a routine purchase. As you can see in the picture below, the powder is a perfect match once it is blended or lightly dusted all over my face. 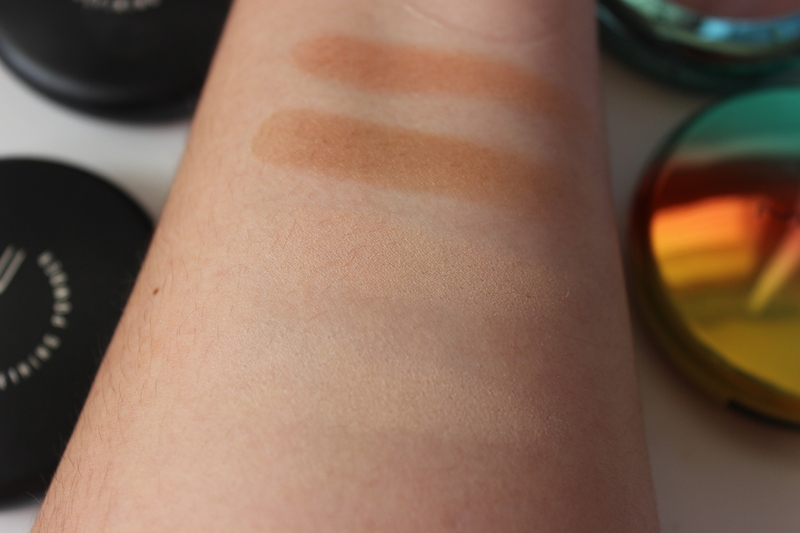 Studio Sculpt Defining Bronzing Powder in Delicates was more of an impulse buy. I had been going over my bronzers and I realized that although I stay away from anything obviously orange, my bronzers tend to be red or orange toned. This one offered less of an orange tone and in a formula that I love. Such a difficult choice! It is a medium warm bronze shade with a golden reflection, a bit darker that I would usually go for. As you can see, Light Plus is just the tiniest bit pinker and lighter which makes Medium a better choice at the moment. On the other hand, Aphrodite’s Shell, which is a lighter bronzer, has more of an orange tone to it. 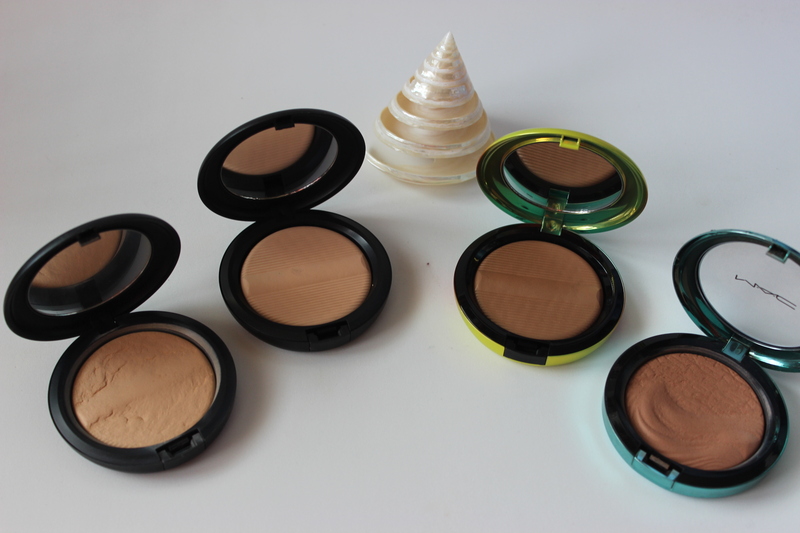 What is your go to face powder? So true. I don’t tan either so I need bronzer! Let me know if you try these and what your impressions are! And forgot to say, I follow you on bloglovin! 😉 Nice blog!